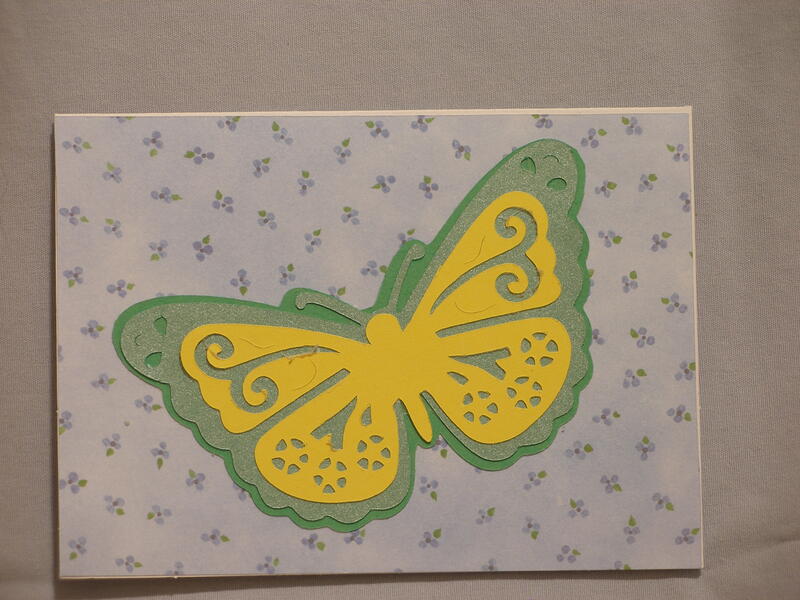 I mounted the blue card stock on the a pre-made card then attached the butterfly. I cut this butterfly out using my Cricut & the Florals Embellished cartridge. I used 2 shades of green & one of yellow. Inside I stamped on white card stock the sentient using a Stampabilities stamp. 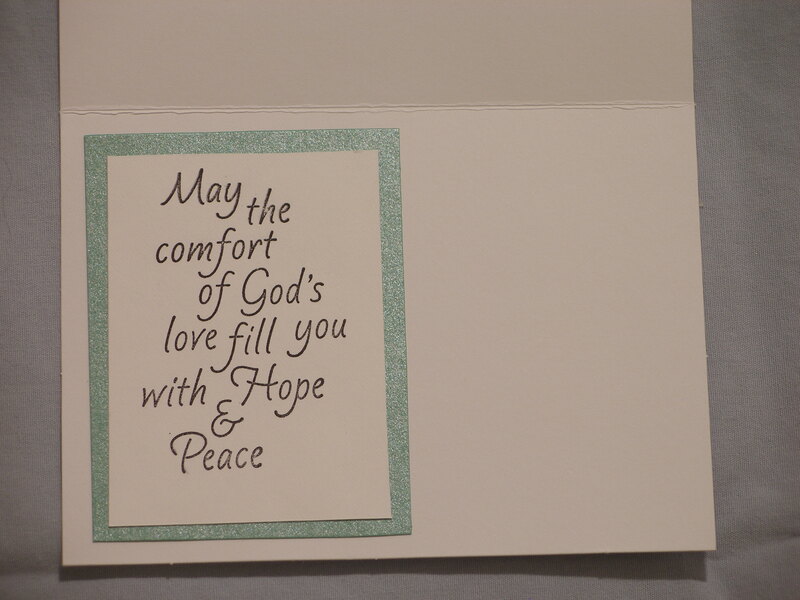 I mounted it on the same green used on the front of the card. I side mounted it leaving room for a personal message to be written on the side. This entry was posted in Cards, Paper Crafts and tagged card making, Cards, Cricut, Paper Crafts, Stampabilities. Bookmark the permalink. I will make an origami butterfly next time. I love those lovely stamps you got too. I need to look out for them. Thanks for sharing.